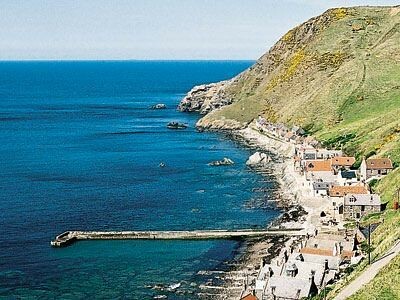 Gardenstown a village located close to Banff in Aberdeenshire overlooking the Moray Firth. It was founded by Andrew Garden, hence the name. It does not relate to any hortcultural skills on the part of the natives. Dry climate means that midges are absent - yippee! 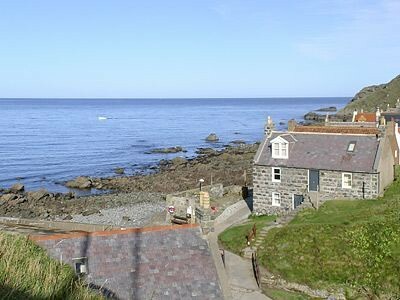 A few miles west, on the other side of Troup Head, is the equally lovely little fishing village of Gardenstown (or Gamrie, pronounced 'Game-ree'), whose streets are so precipitous you almost need to be roped up to get around on foot, never mind trying to drive a car. You can also sleep here, at The Palace Farm, (website seems to be dead - www.gamrie.com. Tel. 01261-851261, March-Nov; or Bankhead Croft, Tel. 01261-851584, both of which provide dinner. 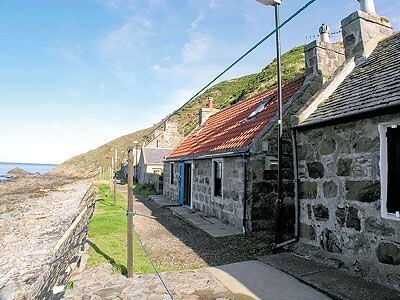 A stone's throw away is the even tinier village of Crovie (pronounced 'Crivvie'), which is so narrow its residents have to walk sideways. 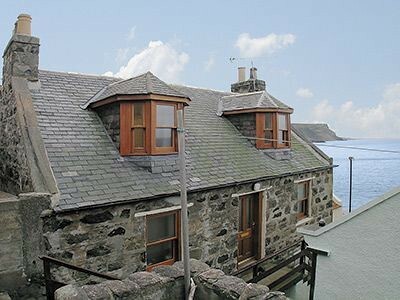 Tidewater Cottage offers local self catering accommodation. Enjoy eating out here in the restaurant which serves great food with some traditional cuisines and variety of dishes made of fish. The place is not very big so have an advance booking to avoid any hassles. It offers hotels, shops, cafes and restaurants where you can spend a pleasant time. For sporting people there are golf clubs for all that golfing experience in beautiful surroundings. Gardenstown village also boasts galleries, pottery and craft workshops to give a glimpse of the art forms. Enjoy bird watching and spot several species of sea birds breeding in their natural habitat including puffins, razorbills and gannets. Apart from all this the beach, rockpools and the harbour are also a treat to visit where local fishermen could be seen engaged in fishing activities which is the key trade of Gardenstown. 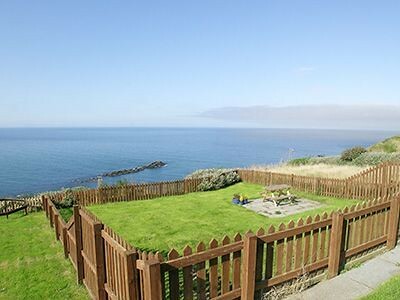 The breathtaking views from the cliff and the Moray Firth will give a thrilling experience. 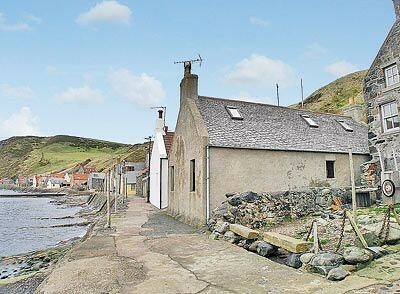 The fishing village of Crovie which boasts houses on the end of the sea all painted to resist the climatic changes looks unique. The St Johns Church also is a place to look for. In Gardenstown,you can also sleep at The Palace Farm, (website seems to be dead - www.gamrie.com. Tel. 01261-851261, March-Nov; or Bankhead Croft, Tel. 01261-851584, both of which provide dinner. 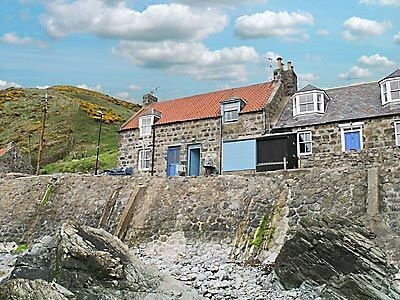 A stone's throw away is the even tinier village of Crovie (pronounced 'Crivvie'), which is so narrow its residents have to walk sideways. 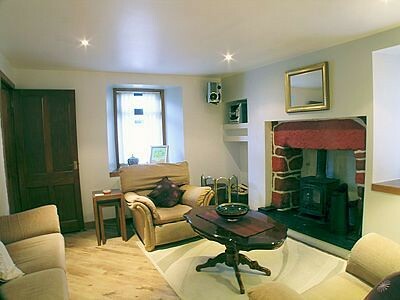 Tidewater Cottage offers local self catering accommodation.